Dr. Nancy Heger with the Texas Parks and Wildlife Department presented results of three decades of GIS analysis (from 1986 to 2015) showing that loss of golden-cheeked warbler habitat continues apace, particularly in the Austin to San Antonio corridor just west of Interstate 35. Earlier this month, I helped organize the 2016 Golden-cheeked Warbler and Black-capped Vireo Symposium in Austin, Texas. The Symposium was attended by nearly 200 scientists, consultants, academics, regulators and interested citizens from as far away as Wisconsin and southern Mexico – all convening to review and discuss the science of the two species of interest. Despite a recent petition to the contrary, the science on the golden-cheeked warbler is clear: habitat for the bird continues to disappear and the species warrants its endangered status. 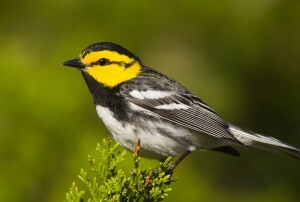 A petition filed by Texans for Positive Economic Policy claims that there is ample population and habitat for the warbler, and that its status is inhibiting development and thereby the economy. There are two reasons why this claim is unfounded. 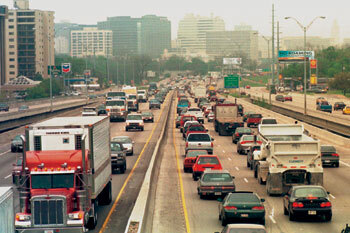 Increasing urbanization and fragmentation of the warbler’s habitat are key threats to the bird’s success. First, the science is unequivocal that warbler habitat continues to decline and habitat fragmentation is leading to reduced bird densities. Second, landowners are currently earning income by participating in incentive programs to manage and conserve warbler habitat. Delisting the species would only disrupt these efforts. 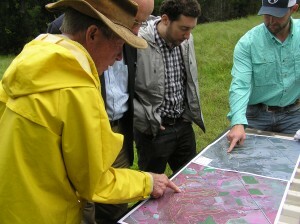 One example of an effective incentive program is the Fort Hood Recovery Credit System, which successfully enrolled 20 ranches to manage and protect 3,143 acres of existing and potential habitat near Fort Hood when the Army base needed to offset impacts to the warbler by purchasing credits from nearby landowners. Dr. Gene Murph points to the best golden-cheeked warbler habitat on his property. Dr. Murph participated in the Fort Hood Recovery Credit System, earning new revenue for conservation activites that improved the bird’s habitat. Learn more in this blog post. Economic analysis of the credit system showed that financial incentives are a powerful mechanism for achieving conservation goals while simultaneously boosting the local economy. But the same analysis explained why maintaining strong science standards was critical to success. There is great potential for expanding the conservation economy to include more programs like the Fort Hood Recovery Credit System. The next generation of these programs, now called habitat exchanges, is already being designed for other at-risk wildlife like the greater sage-grouse and monarch butterfly – where private landowners have great potential to contribute to recovery efforts, with the right incentives. 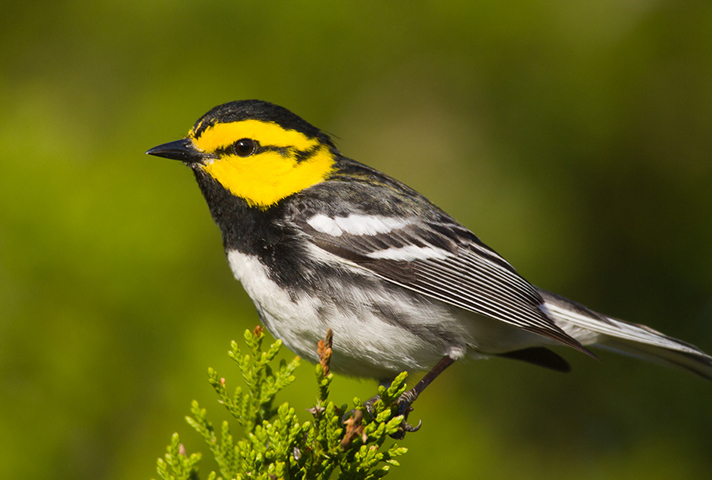 As for the golden-cheeked warbler, we should expand programs that put more money in the pockets of Texas landowners for good conservation, and put the bird on a path to recovery. This entry was posted in ecosystems, Habitat Exchange, Wildlife Protection and tagged david wolfe, Endangered Species Act, endangered states, Fort Hood, golden cheeked warbler, monarch butterfly, sage grouse, texas parks and wildlife. Bookmark the permalink. Both comments and trackbacks are currently closed.